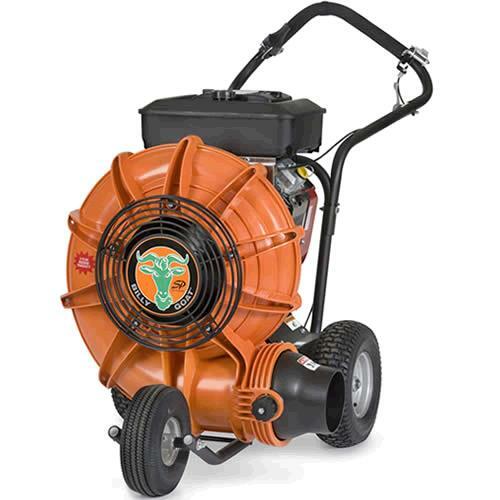 Professional duty self-propelled parking lot blower. Great for leaf removal, landscapers, seal coating preparation, street departments, snow removal, and parks departments. Dependable 13 HP Honda engine. 5" discharge chute provides just under 200 MPH velocity. Fingertip controls will control the "Aim & Shoot" discharge to direct the air-flow. Weight: 165 lbs. * Please call us with any questions about our blower self propelled 13hp rentals in Oak Grove MO, Blue Springs MO, Independence MO, Lexington MO, Odessa MO, Independence MO and Western Missouri.